So I couldn't stay away. What's better than blogging, munching on popcorn, drinking Diet Coke and watching a chick flick (Something Borrowed) with some super handsome hotties? I think not much. Especially since my babies are sleeping and my personal hot hubby is MIA protecting and serving. 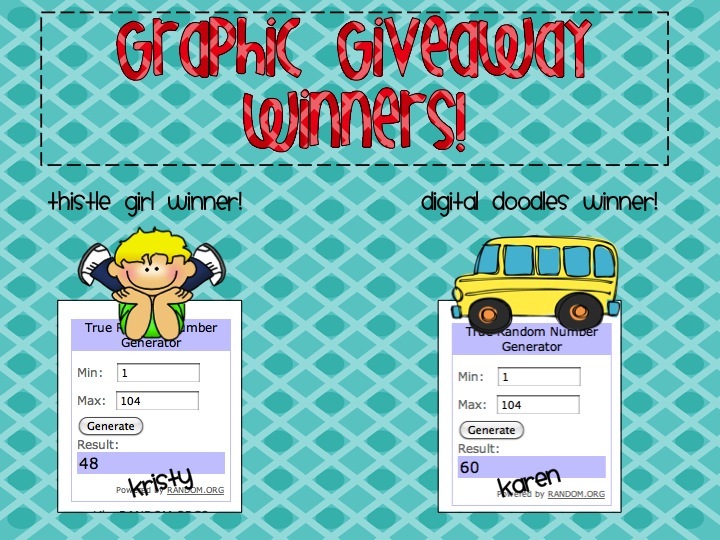 So I thought I'd announce the graphic giveaway winners and say a thank you or two or three. 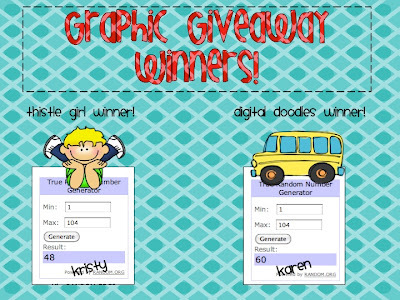 Thanks to everyone who entered the graphic giveaway. The random number generator thingamajig chose two lucky gals! I don't have your emails so please email me at shelley123@roadrunner.com and I'll put you in touch with Ashley and Kirsten for your collections. I also want to say a huge THANK YOU to all who nominated me in your top 10! I truly appreciate the nominations and the fact that you actually follow me! I think you are all super, fantastic, wonderful and awesome! I can't imagine my classroom without you. I'm a better teacher because of the inspiration you all have given. MUAH! My blog was also chosen by Teacher Certification Degrees as one of the Top 50 Early Childhood Education Blogs. I feel extremely honored to be a part of such a great group of educators. Take a peak at the list. I clearly am not worthy, but I'll gladly accept! Michelle, I am so excited to be a winner!!! I will send you an email asap!